Life Down Our Lane: Who says it's too dark to play outside?? Who says it's too dark to play outside?? By time we get home from work, eat supper, and clean up it is already dark outside. We just had a big snow storm and Grace was bound and determined to go make a snowman. 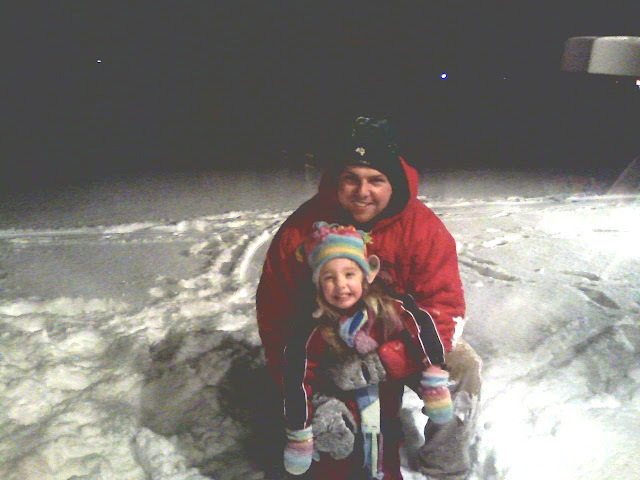 So after supper Grace and Shawn bundled up and headed outside for some winter time fun.